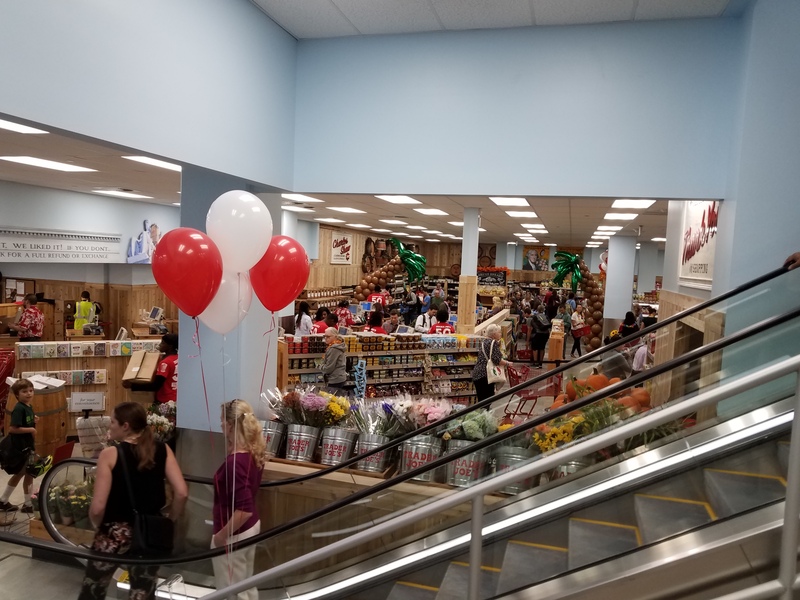 At 7:55am on Friday, September 29, the ribbon was cut officially opening the Capitol Hill Trader Joe’s at 700 Pennsylvania Avenue, SE. The store’s “Captain” is Tom Senior, at center, arms upraised. 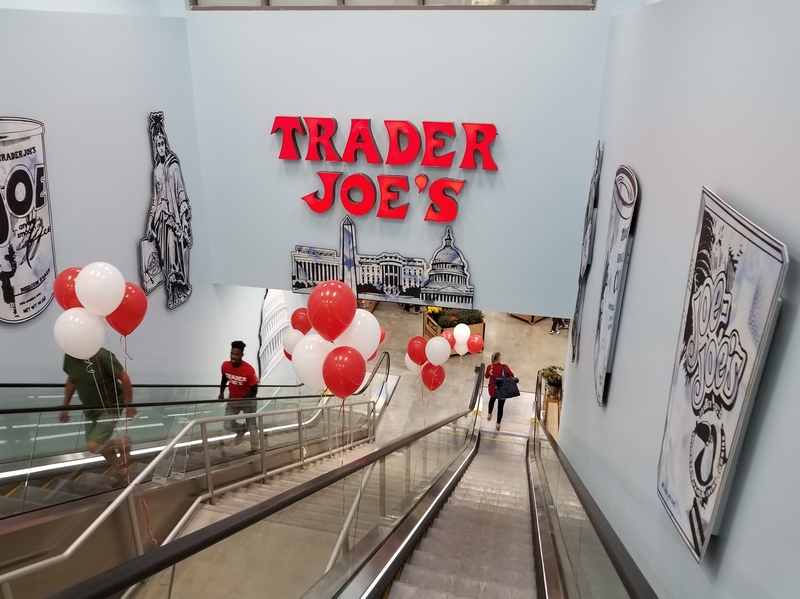 Trader Joe’s is two levels down the escalator just inside the entrance. Here’s the first view of the store that you see from the escalators. The produce department, looking back toward the escalator. Olive oil, sauces, and frozen packaged foods. Frozen fish – some of it wild caught and sustainably harvested. This is about one-fourth of the wine selection. Councilmember Charles Allen and Capitol Hill writer Robert Pohl. 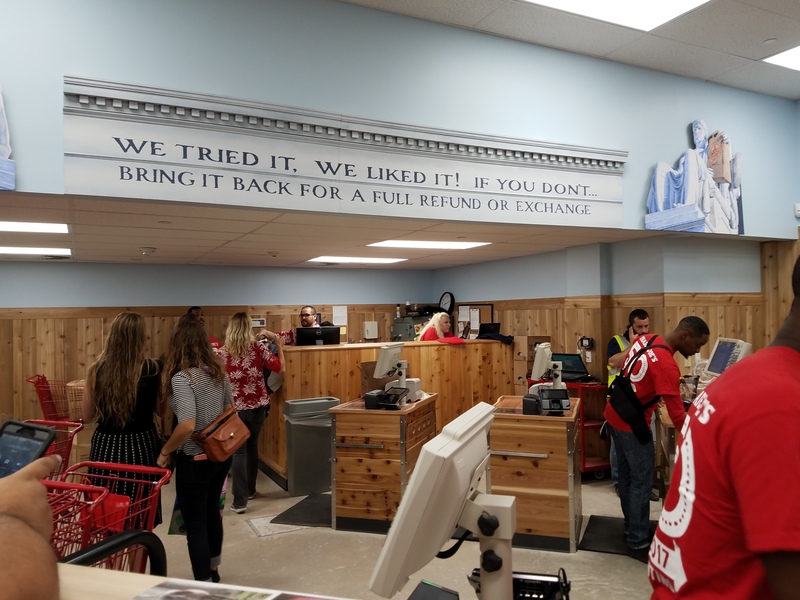 You get a reminder of Trader Joe’s return policy as you leave the store. 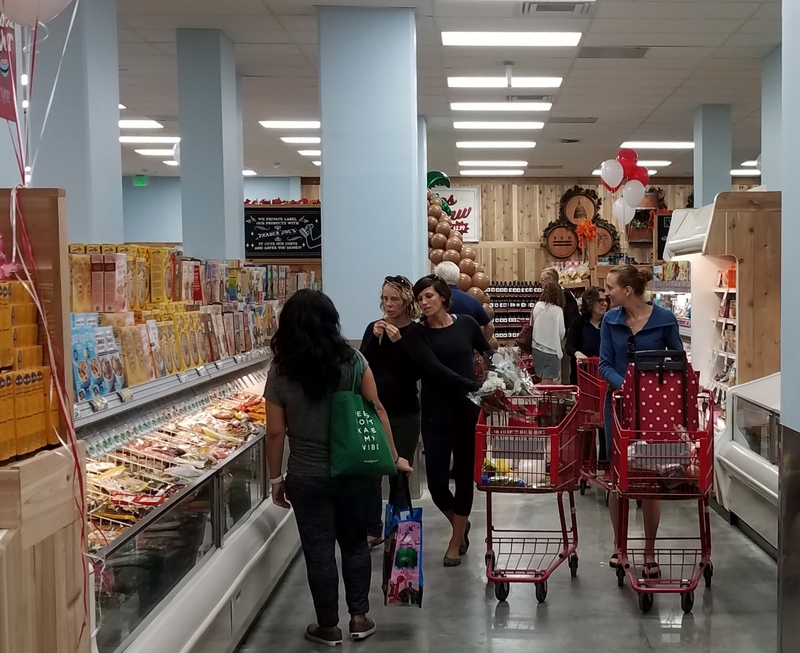 Trader Joe’s at circa 7:10am, Friday, September 29. Evan, a Trader Joe’s fan who lives near Safeway, decided, he said, that he wanted to be the first customer. He arrived to stand in line at 7:05am. 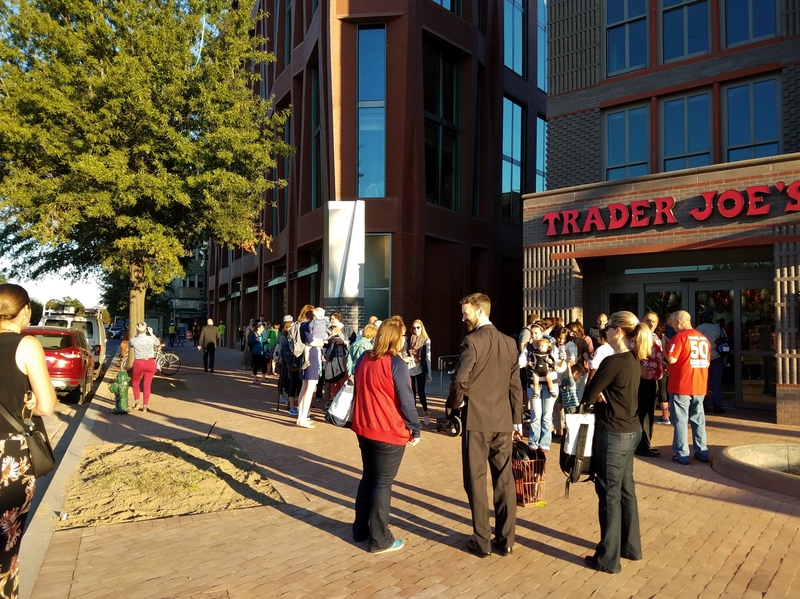 The line for Trader Joe’s prior to opening, stretched down Pennsylvania Avenue. More than 100 were waiting when the doors opened. Councilmember Charles Allen is in foreground talking with Leah Daniels of Hill’s Kitchen. 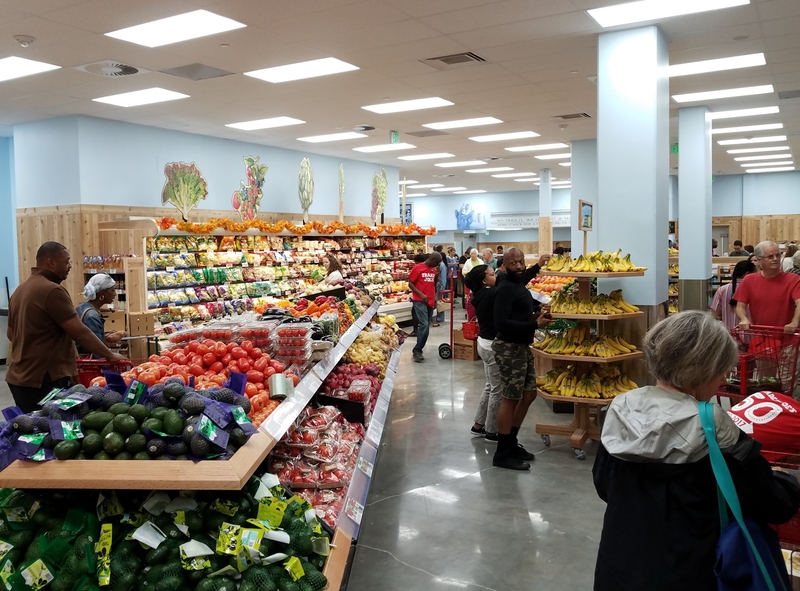 Trader Joe’s on Capitol Hill opened at 7:55am this morning. There line was 112 customers long when the ribbon was cut and the doors opened. 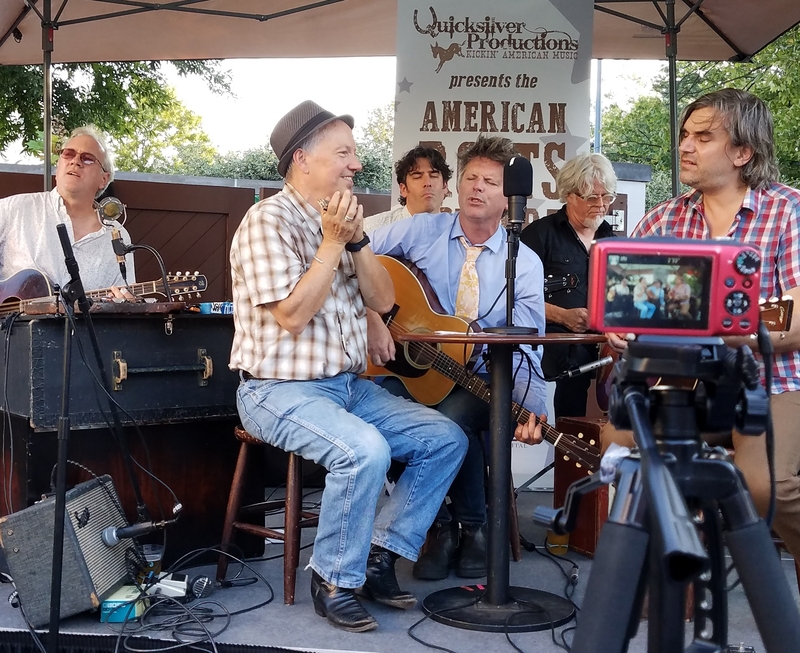 The Capitol Hillbillies, a local band, played “When the Saints Go Marching In” as employees applauded and hung leis around necks of entering customers. 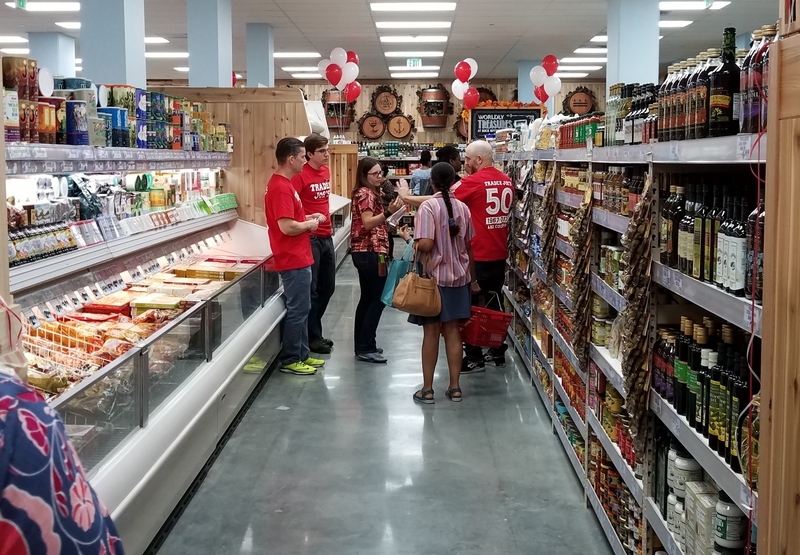 The store employs 160 and many are Capitol Hill residents, according to the new Trader Joe’s “Captain”, Tom Senior. Senior says that the store features validated parking (for about 40 spaces) – currently for an hour, but he hopes to expand that to 90 minutes next week. 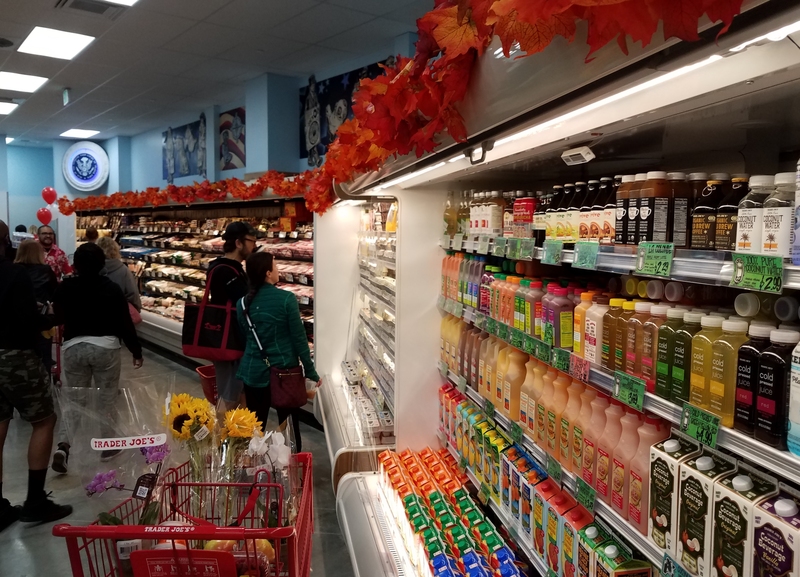 The store is open seven days a week from 8:00am until 10:00pm and has 17 checkout stations with a single line, similar to the Foggy Bottom Whole Foods. The playground – soon to be the site of five townhouses. 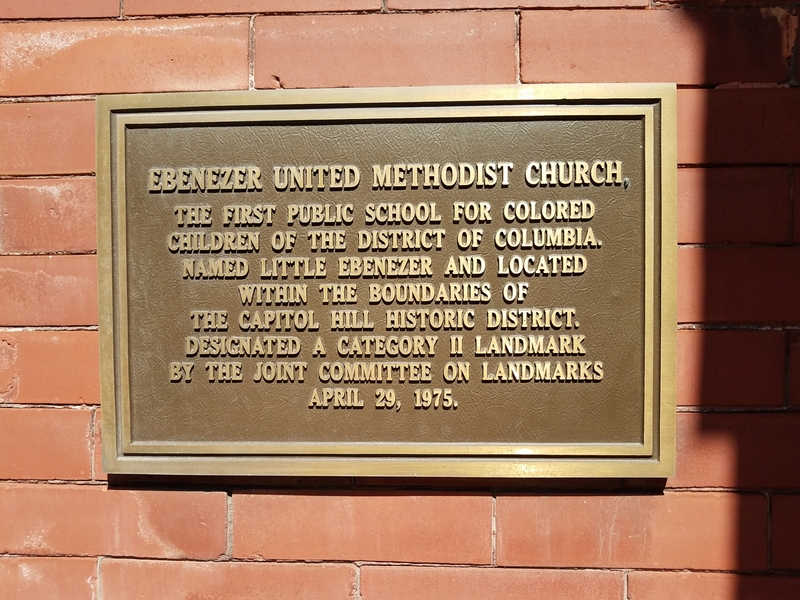 Ebenezer Methodist Church, at 4th and D Streets, is a 179 year old Capitol Hill institution struggling to increase its membership and revenues in order to avoid closing its doors. To that end, the church is developing five new townhouses on property adjacent to the church – currently a playground. The five buildings will mean ten two-bedroom units for tenants, some of whom will bring cars into an already stressed parking situation. ANCB Chair Chander Jayaraman told Capitol Hill Corner that there is strong emotional support for the church in the community but that the parking concerns are valid. Complicating the matter is the fact that at the church’s request, the city removed the resident only parking (RPP) for the ten spaces on the Church’s side of the 400 block of D Street. Now, anyone – resident of Ward 6 or not – can park as long as they want in those ten spaces. The townhouses are being built as a matter of right which requires only historic preservation review regarding scale, mass and design. 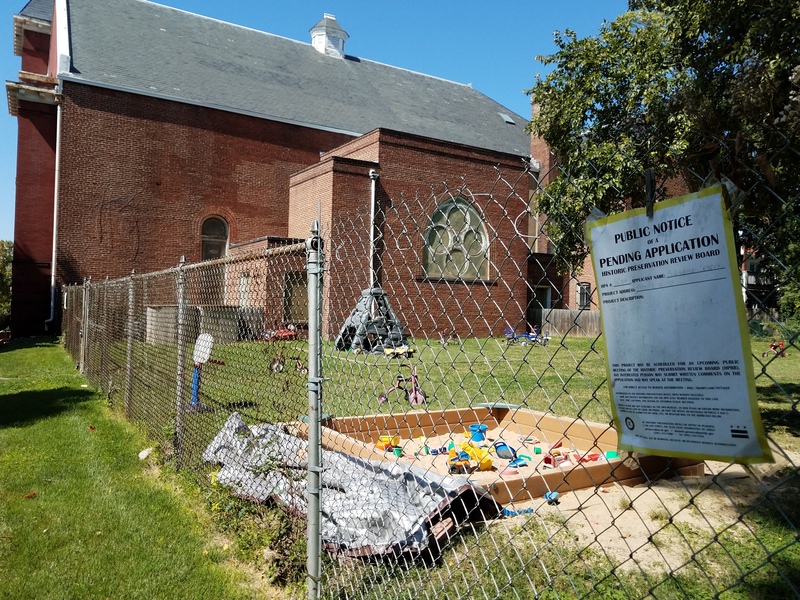 Neighbors are concerned that the developer hired by the church has failed to reach out to them in a good faith effort to ask for community input. 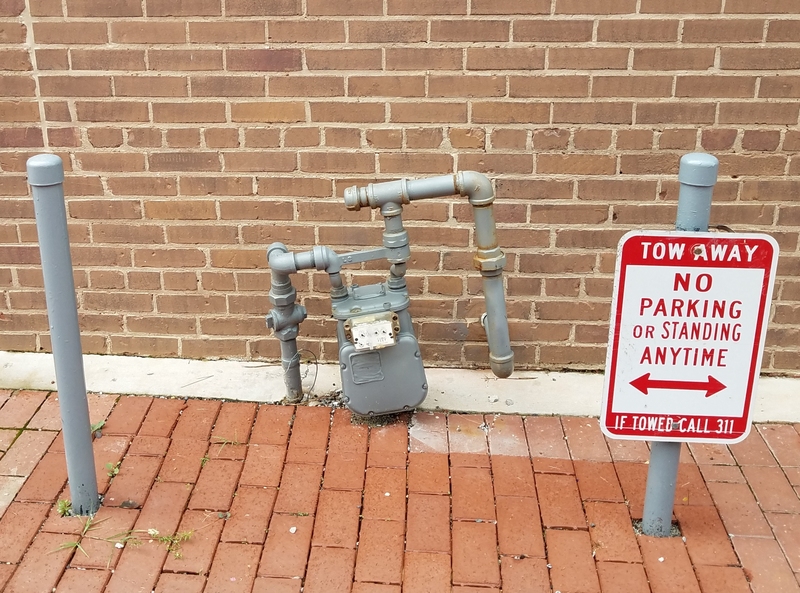 Some of them say that neighbors were not consulted nor were regular channels followed when DC Department of Transportation (DDOT) removed the resident only (RPP) parking signs from D Street. Ordinarily, such a change would have been processed through ANC6B. In an attempt to address parking concerns, the developer is requesting a curb cut on 5th Street which would remove two parking spaces in order to allow access to a five space parking lot behind the five new townhouses. Jayaraman pointed out that there is no understanding that the additional parking would be for the exclusive use of tenants and that in addition the tenants would be eligible for residential parking permits to park in the neighborhood. The church entered into a 99 year lease with the developer, apparently necessary in order for the developer to get financing for the project. Neighbors worry that lease was executed before details of sensitive issues such as parking were worked out and that the five parking spaces will inevitably become commercial parking since the developer – rather than the church – will me managing the properties. They cite the practice of the United Methodist Church on Seward Square in renting out its parking spaces on church property. Ivan Frishberg, a neighbor and former ANC6B Commissioner opined that the project is not inconsistent with historic preservation regarding scale, mass and design. He told the ANC at it’s regular meeting on September 12 that the issue is with a curb cut which will have consequences which change the nature of the block. He and other neighbors strongly oppose the curb cut and urge DDOT to restore residential parking on the block on D Street. The curb cut can come up again later – the developer had already planned to make the parking area a part of a second Historic Preservation Application. The architect for the developer is floating the idea of a mechanical car elevator to provide additional parking behind the townhouses, but it seems an unlikely solution given the necessary approvals and opposition from neighbors to a noisy mechanized unit in the center of the block. ANC6B Commissioner Diane Hoskins moved to support Historic Preservation Application’s concept design and oppose the curb cut and ask DDOT to return resident parking to the 400 block of D Street. The motion was agreed to, 6 – 4. Tearin’ it up. Click to enlarge. 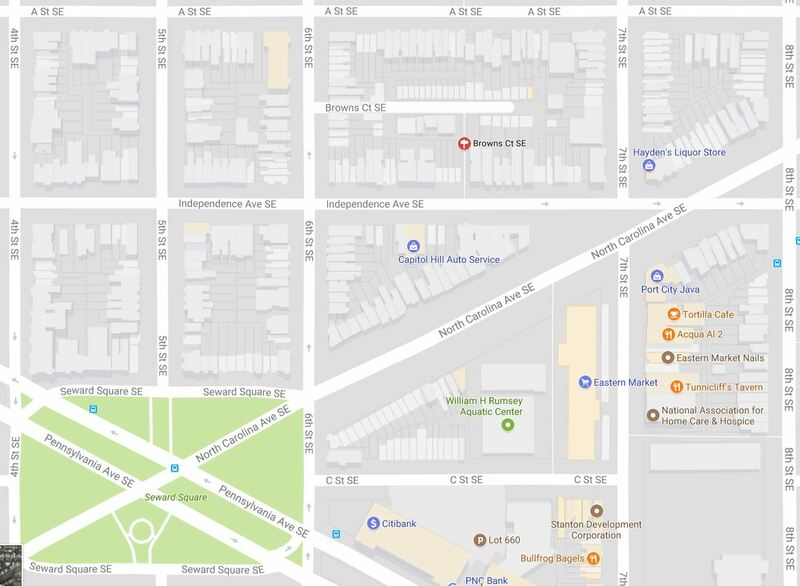 ANC6A Community Outreach Committee meets at 7:00pm, Maury Elementary School, Multi-Purpose Room, 1250, Constitution Avenue, NE. ANC6B Executive Committee meets at 7:00pm in Hill Center to set the agenda for the full ANC6B October meeting. 2. PSA 106 meets at 7:00pm Congressional Quarter Community Center, 5th & K St, SE. 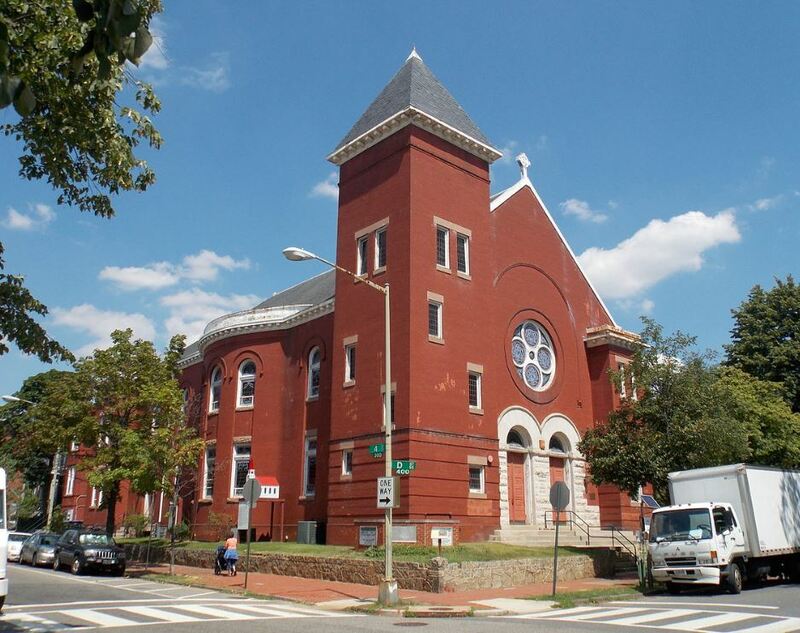 The Historic Preservation Review Board will meet at 441 4th Street NW in Room 220-South. The Historic Preservation case concerning 418 and 420 7th Street SE, HPA 17-481, revised concept/rear and rooftop additions and new building at rear of lot 5, is scheduled for consideration form 1:00pm – 2:00pm.. The neighbors are up in arms concerning the loss of greenspace, not only for the aesthetic impact on this block in the Capitol Hill Historic District, but also because the greenspace has provided a barrier against invasion by rats drawn to the block by Barracks Row restaurants backing up to the back yards of their alley-less neighbors. 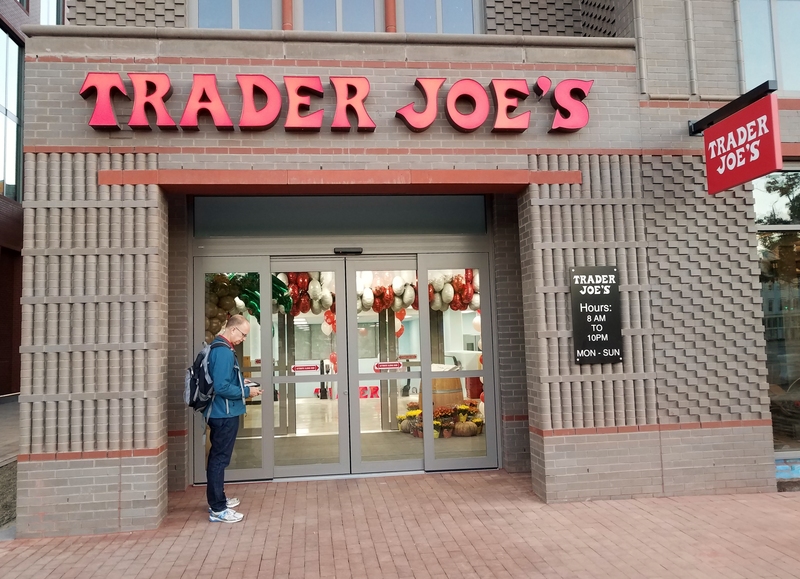 Trader Joe’s opens at 7:55am, Hine Project, 700 Pennsylvania Avenue, SE. Concerns of future Hine project retailers could affect the use of the 300 block of 7th Street, currently the home of the weekend flea markets. 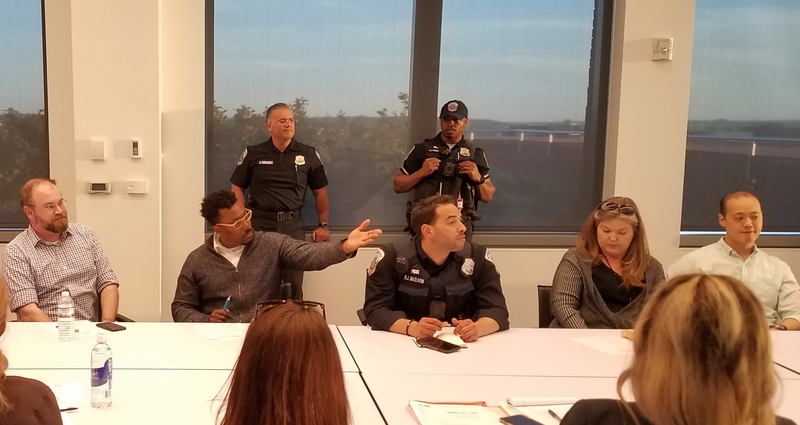 Last Tuesday night, the Eastern Market Community Advisory Committee (EMCAC) voted to keep 7th Street closed to vehicular traffic on weekends, and to continue unspecified activity on the 300 block after October 31, when the current licenses for the weekend flea markets on that block expire. How the block is used after that date is up to the Department of General Services. 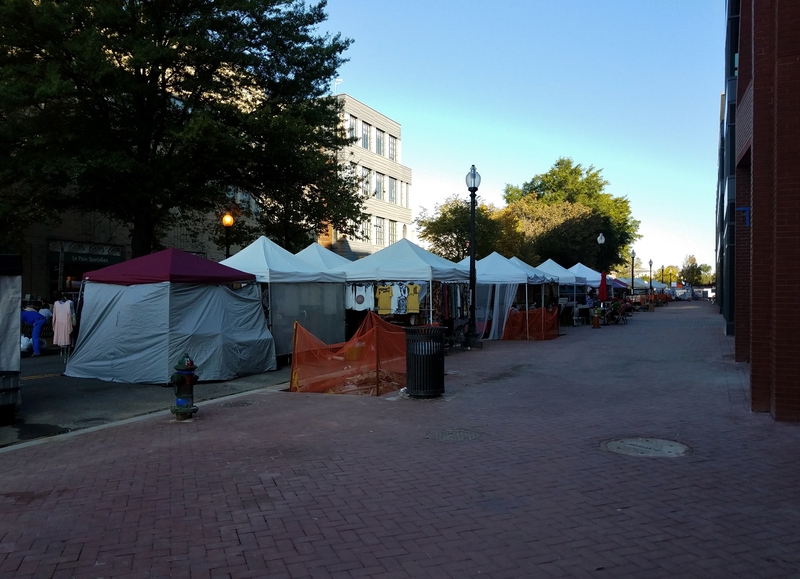 Both the Saturday and Sunday flea markets have asked the city for an extension to continue to use the 300 block in addition to their three year contracts with Stanton-Eastbanc for use of the newly opened C Street between 7th and 8th. EMCAC board member Chuck Burger pushed hard to get EMCAC to recommend that the current “physical layout and format of vendors (on the 300 block) cannot continue” and to recommend that EMCAC oppose issuance of any request for proposals (RFPs) to program or sublease the street until such a proposal was incorporated in an agreed upon Strategic Plan. ANC6B Commissioner Diane Hoskins, in whose single member district Eastern Market lies was having none of that. Hoskins adamantly opposed the two proposals by Burger, insisting on dropping the language condemning the current physical layout as well as the recommendation on the RFPs. Hoskins eventually prevailed on both points and the modified language was approved on a 4 – 3 vote, with Hoskins, Angie Brunson, Nikki Dean, and Monty Edwards voting “Aye.” EMCAC Chair Donna Scheeder, Chuck Burger, and Bill Glasgow voted against. Board members Jonathon Page, Tom Kuchenberg, Richard Layman and Susan Oursler were absent. In reality, EMCAC is an advisory committee and DGS can legally do what it wants with the block. It appears that other forces are already in play guaranteeing that the street will remain closed for another year. 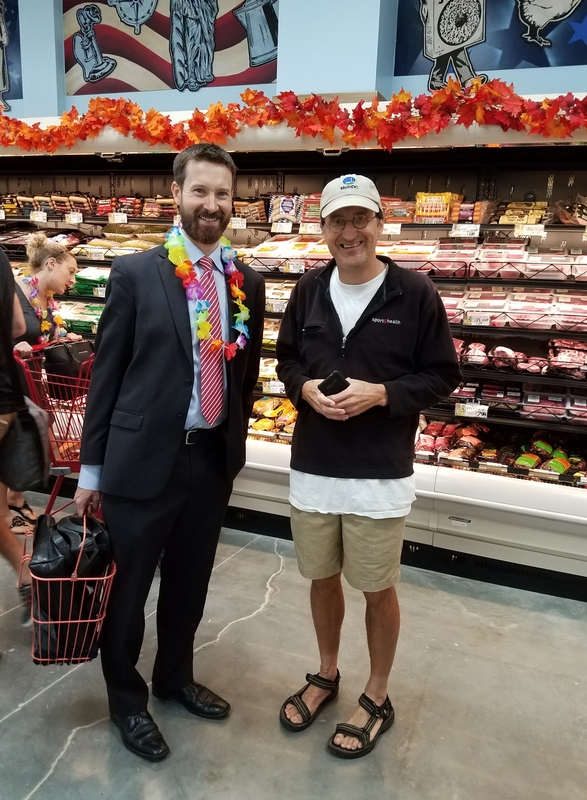 Burger, who represents CHAMPS, the Capitol Hill mini-chamber of commerce, justified his proposed language by saying that it would probably be next spring before the Hine retail merchants were signed. 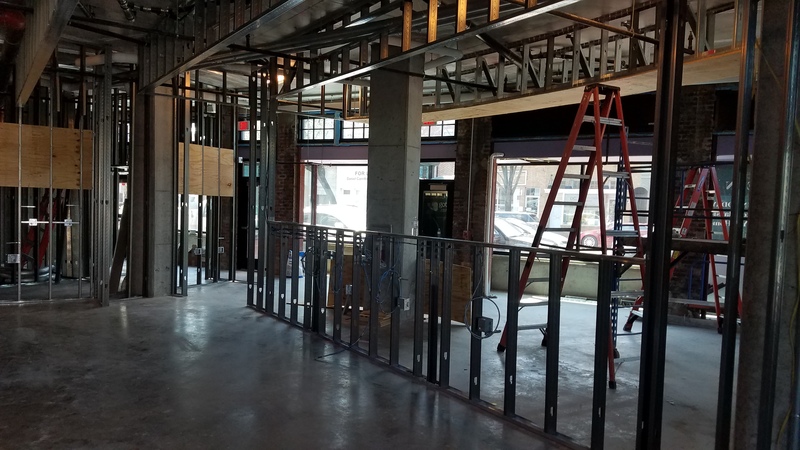 He said that the Hine developers had stated that their intention is to use the sidewalk fronting 7th Street for café seating and service operations, and Burger said they should have input regarding use of the street. 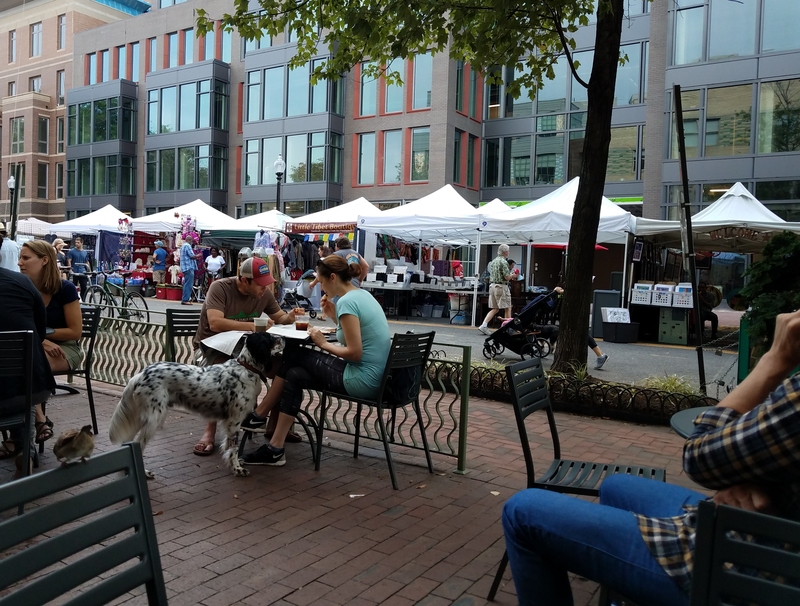 Objections to the current configuration of vendors on the street (who are set up in front of the Hine project because the brick and mortar retailers on the other side object to tents being set up in front of them) could complicate future use of the block. Carole Wright, manager of the Saturday flea operation says that there are ways to address this concern. The recommendation calls upon DGS to determine a Strategic Plan for the Eastern Market Special Use District by March 1, or as soon as practical and that the city consult with community organizations and professional consultants to achieve that goal. 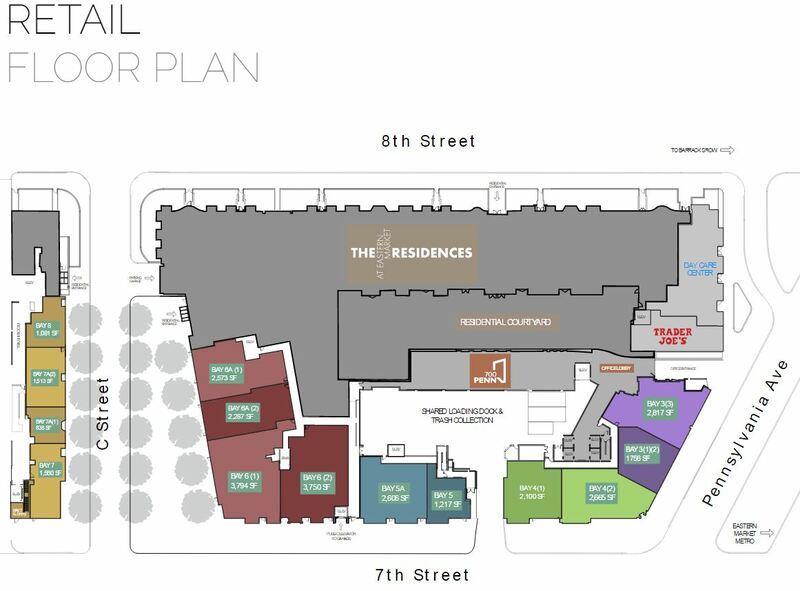 Community organizations would include ANC6B, EMCAC, Eastern Market Mainstreet (in which Stanton Development is a key player), DCRA, DDOT, MPD, the Fire Department and DC Homeland Security. On Friday afternoon, a snafu developed when Scheeder initially sent to the city an incorrect version of the final recommendation which mistakenly included the controversial language stating that “the past physical layout and vendors cannot continue.” Hoskins fired off an email to Scheeder noting that the letter contained some language not agreed to by the Committee and asking her to retract the letter. Scheeder subsequently issued a corrected version on Saturday. 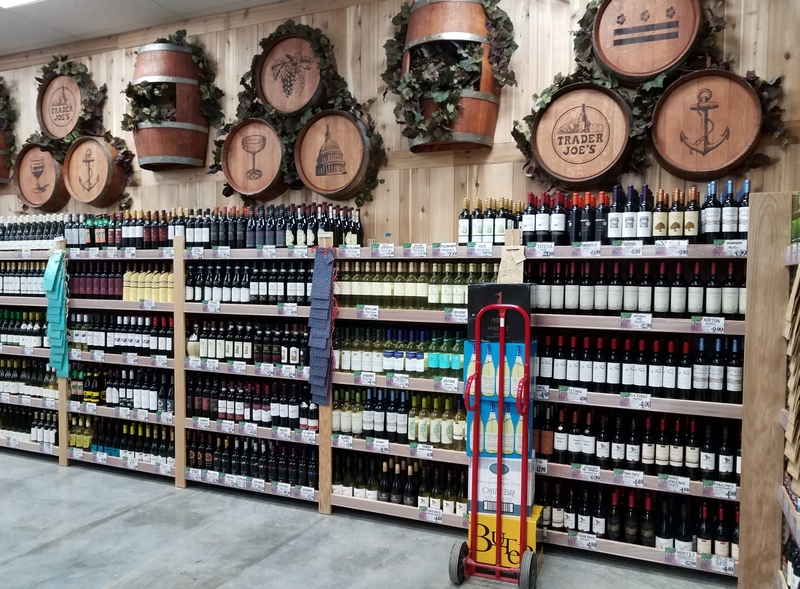 On September 12, ANC6B voted 10 – 0 in support of a letter to DGS requesting there be no change in the current use and operations of the 200 and 300 blocks of 7th Street and that DGS work with community stakeholders before implementing any new policies that may include vending on 7th Street. 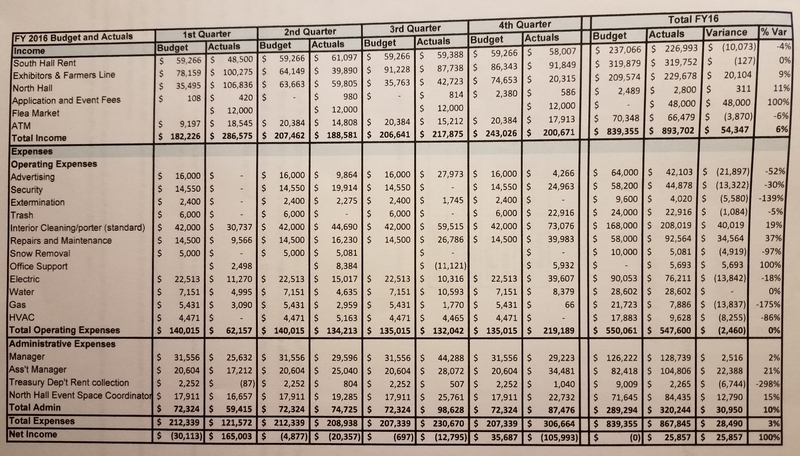 On Wednesday night, the Department of General Services released the Total Expenses for 2016 – the period applicable to the previously released income figures – as part of the Market Manager’s Report to the Eastern Market Community Advisory Committee. 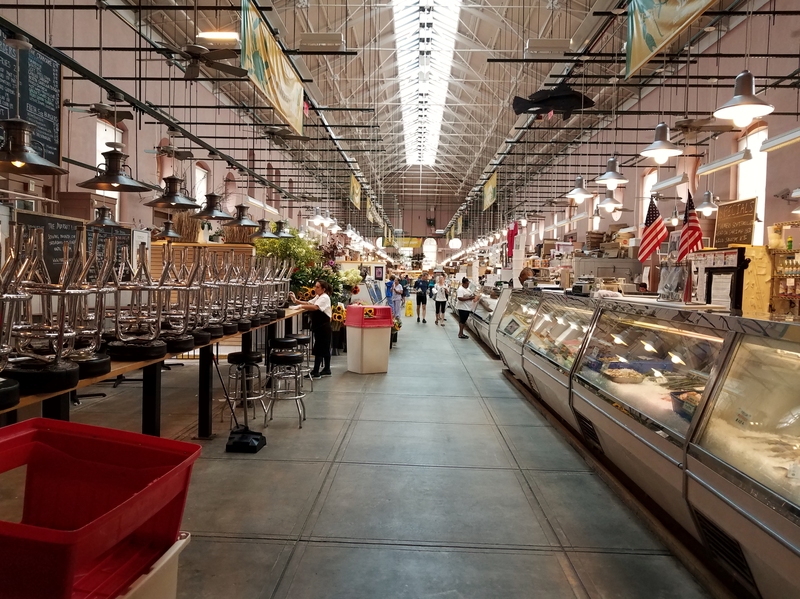 Earlier this year, the Department of General Services (DGS) contracted with Marcus Asset Group to conduct an appraisal of the 14 stall spaces within Eastern Market’s South Hall. The study grew out of the DC Code requirement that rents reflect fair market rents and practices. To assist them, Marcus Asset Group engaged the services of Market Ventures, Inc., a specialty urban planning and economic development firm. The resulting report was made public at the end of August. The range of recommended rents per square foot for each of the South Hall merchants are shown below, with the low to high figures showing the range in dollars per square foot per year. In a letter to EMCAC accompanying the report, Market Manager Margeson states, “Our plan is to use the average of the upper and lower limits of each stand’s appraised value in the form lease.” The letter states that the rental rate would increase incrementally over three years until it reaches the appraised rental value (adjusted for inflation). In addition, DGS has contracted to for an appraisal to determine what the rents should be for stall space on the 300 block of 7th Street, between Pennsylvania Avenue and C Streets, SE. 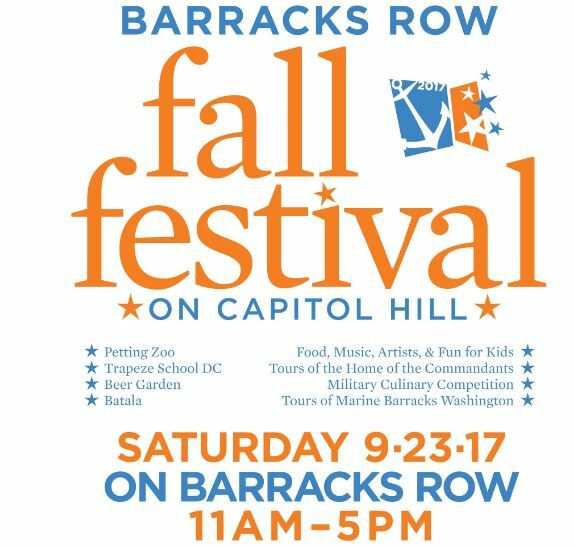 Those spaces are currently occupied by the Saturday and Sunday flea markets which are scheduled to move their whole operations to the newly reopened C Street between 7th and 8th Streets at the end of October. Once that happens, the monthly $2000 the flea market managers pay to DGS will accrue instead to the Hine developers – Stanton-Eastbanc – since under an agreement with the city, they will own that block of C Street. What happens to the 300 block of 7th Street remains to be seen. There is substantial community support for keeping it closed to traffic on weekends, and the current thinking of ANC6B and the Eastern Market Community Advisory Committee is that until a final determination is made by a broad selection of community stakeholders, EMCAC and the Eastern Market Manager should jointly determine usage of the block on a temporary basis. Also in the works is an appraisal for the vending spaces in and around Eastern Market, including the Farmers Line, the arts and crafts vendors on the 200 block of 7th Street and the North Plaza, and the prepared food vendors in front of the Rumsey Aquatic Center on North Carolina Avenue. A consensus seems to be building among stakeholders that rents for the merchants in the South Hall not be increased until the other appraisals are complete when any rent increases necessary to maintain and promote the market can be imposed taking all sources of revenue into account. EMCAC will consider the appraisal and next steps regarding its implementation at their monthly meeting, Tuesday, September 19, at 7:00pm in the North Hall of Eastern Market. Pat Taylor of Kings Court Community Garden, recalls the Garden’s 1997 founding. Tribute to Founding Gardner Maribeth Iler. 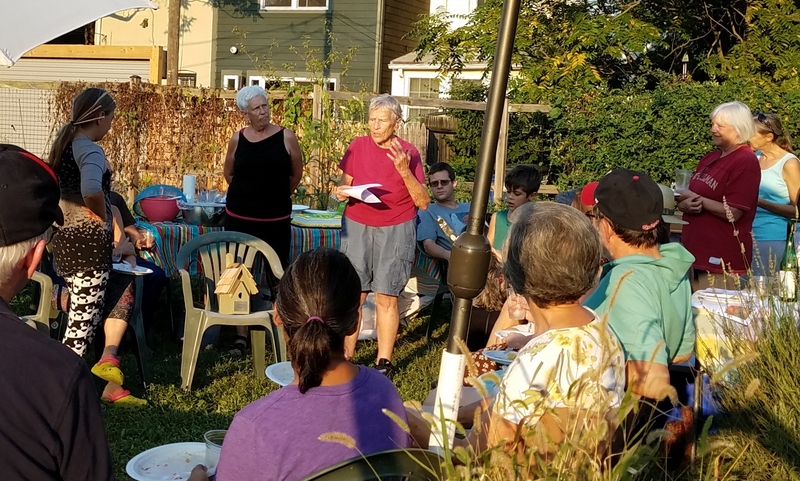 Sunday evening, some 30 gardeners who work the plots in Kings Court Community Garden gathered to celebrate the 20th anniversary of the garden’s founding. The Garden was founded in 1997 after a developer purchased the Kings Court alley lots only to find later that they could not be developed. A period of uncertainty ensured during which the developer attempted to donate the land to the community. While the process was in limbo, community gardeners seized the initiative and began construction of what was to become Kings Court Community Garden. The first year was spent fencing and preparing the land; the first serious gardening efforts began in 1998, with ten gardeners. Nearby resident Pat Taylor was one of them. No questions were raised until 2001, when the garden’s future came under threat in the form of unpaid taxes on the land. Taylor received a notice from the city that $2200 in back taxes were owed on the land and unless paid, the lot would be offered for sale for back taxes. She rallied fellow gardeners who donated money to pay the back tax bill. This led to the property’s owner gifting the land to the gardeners but only under the condition that the new owner be a 501©(3) nonprofit corporation. By 2003, the legal work was completed and Kings Court Community Garden – now a formal 501(c)(3) – held a deed to its 1/5 acre lot and became the first DC community garden to own its own land. Councilmembers Sharon Ambrose and Jack Evans got legislation passed granting the Garden tax exempt status. This was the first of three initiatives by the non-profit – the Capitol Hill Community Garden Land Trust – to help Hill East residents start new community gardens. Next was the one-half acre Green Seed Community Garden, followed by the Green Field Community Garden – the last still in the process of acquiring its own land. Both of these – like Kings Court – are located in the middle of their blocks. Kings Court currently has about 50 gardeners. Pat Taylor and other long-time gardeners took the occasion to commemorate King Court Community Garden’s founding gardener Maribeth Iler who was for many years the longest-serving member of Kings Court Garden. Iler died in 2010. 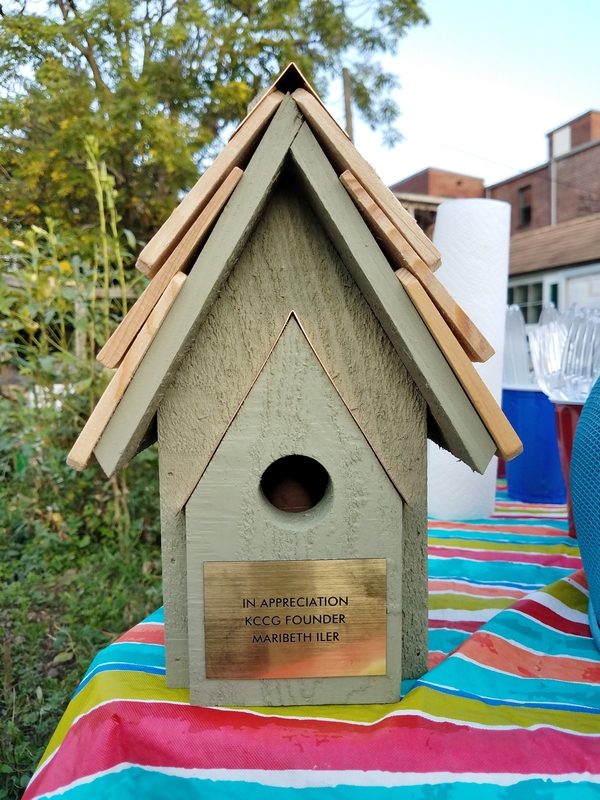 Gardeners honored her memory with a brass plaque attached to a birdhouse which will be installed in the garden. Participating in community gardening is a multi-level contribution to the community at large. The common ground and common interests shared by members provide a protective bond fostering commitment to – and involvement in – the community at large. And many who contribute to the community believe that to be in accordance with one of the rules for living well. 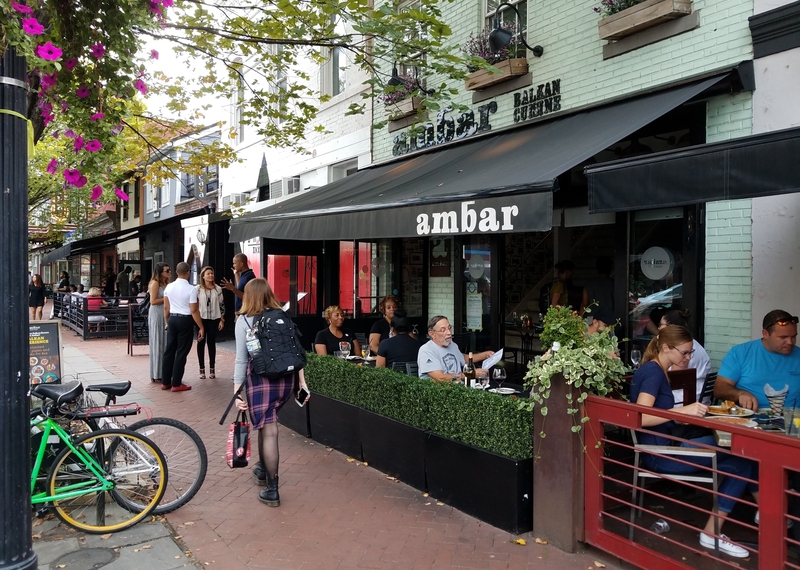 Here’s what the neighbors and a majority of ANC6B envision when they think of Ambar on Barracks Row. Photo from 4:00pm, Saturday, September 16, 2017. Matchbox is to the left. And here’s what patrons think of when they envision Ambar. Photo circa 4:00pm, Saturday, September 16, 2017. Last Tuesday night, ANC6B stepped back from what appeared to by unanimous support for Ambar’s proposal to add a third story to the restaurant after owner Ivan Iricanin said – according to Chander Jayaraman (ANC6B Chair as well as Chair of the alcohol beverage committee) – that he would “never” provide inside access to a new indoor trash storage room. A vote to oppose the expansion was 6 – 3 – 1. 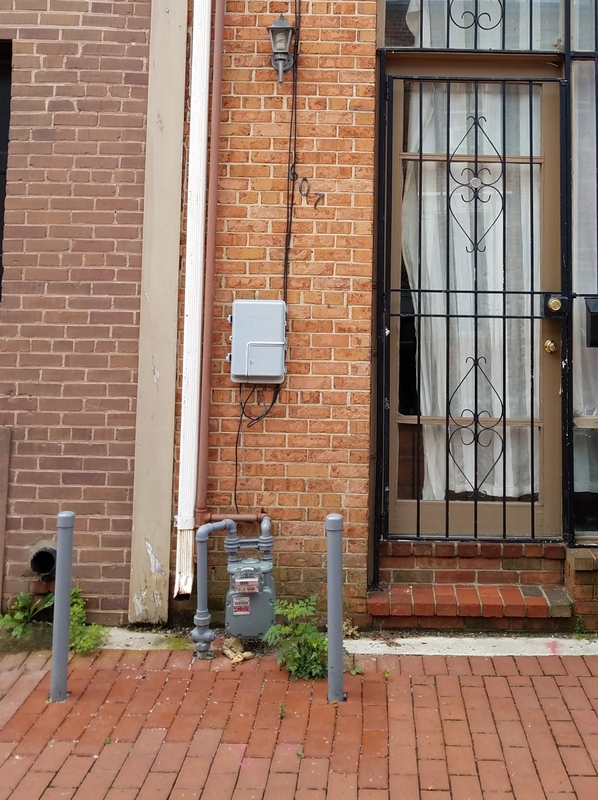 Going forward with negotiations, ANC 6B, backed by neighbors, offered to support an extension of Ambar to the rear property line, expand the second story to the rear, and add a third full story, on the condition that Iricanin create indoor trash storage space with access from inside the restaurant. The ANC’s plan would allow Ambar to increase its seating from the planned 53 to a total of 88 new seats. According to Jayaraman, Ambar agreed to the ANC proposal with the exception of an interior door leading to the trash room. This was a deal breaker because in the long history of managing trash and fighting rats attracted to Barracks Row restaurants, it has been amply demonstrated (according to neighbors) hauling trash to an indoor trash storage through an exterior door simply does not work. 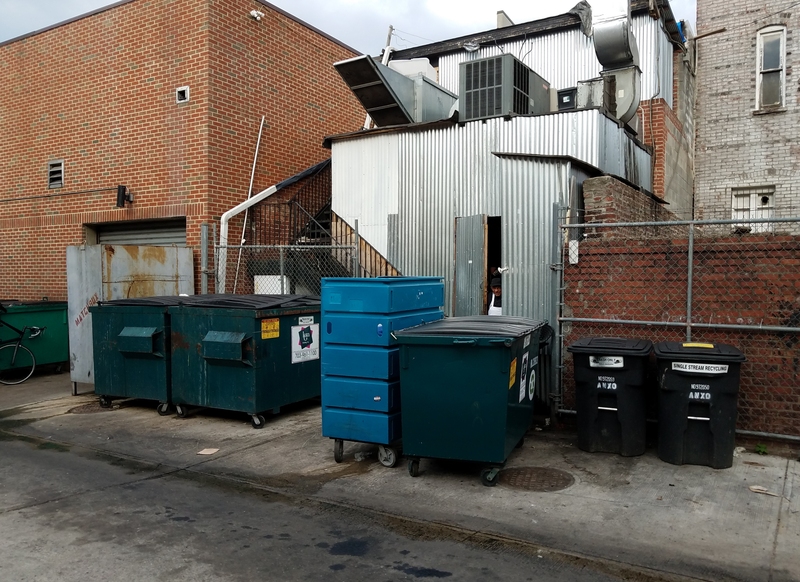 ANC6B has fought hard to address Barracks Row’s rat problem by requiring new restaurants in the ANC’s commercial districts – and those undergoing renovation – to provide indoor trash storage. Jayaraman met with the architect and the owner on the Friday before Tuesday’s ANC meeting expecting to work out an agreement on the inside door. Instead, the owner stated flatly that he cannot do an interior door. Jayaraman says he told the owner, “That’s not going to work. If you want the support of the ANC, revise your plan and provide for inside access to trash storage.” He invited the Ircanin to make his point before the full ANC Tuesday night. The owner failed to appear. Although this stage of the permitting process is limited to the concept for a Historic Preservation Application, Jayaraman maintains that the additional elements regarding trash storage are a valid point to consider. Commissioner Nick Burger, Chair of the ANC’s Planning and Zoning Committee maintained that the issue would be better addressed when Ambar comes back before the ANC with a zoning adjustment request to extend the building to the rear lot line. But a majority of the Commission agreed with Jayaraman, in effect firing a warning shot across Ambar’s bow. A vote against the issue as part of the Historic Preservation Application where it may be marginally relevant sets the stage for future votes if and when the matter comes back to the ANC as a zoning issue and again, if and when it comes back to the ANC for support for a substantial change in the liquor license. Neighbors strongly support taking a tough position, noting that the new owner of the old Phase One building next door agreed to a much more difficult installation for indoor trash storage. Adding insult to injury, the permit is being processed through DDOT’s Public Space Committee, post facto, after the work has been complete, providing an additional grievance against the company – and DDOT. ANC6B is opposing the permit and urging DDOT to require WGL to work with neighbors to revise the bollards to conform to specifications consistent with the recommendations of the Capitol Hill Restoration Society and the Historic District. DDOT’s Public Space Committee has a long record of riding roughshod over the city’s regulations requiring ANC opinion to be given great weight. This appears to be yet one more example in a long list of complaints against city agencies working hand in glove with outside companies and casually dismissing the legitimate need for resident input.